Scuba Fun Dive Center is St. Maarten/St. 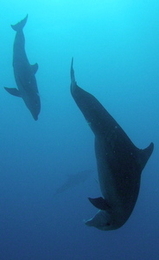 Martin's longest established PADI 5 STAR Dive Resort. 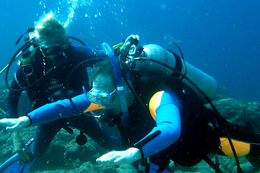 We have many years of experience in training scuba divers of all levels, from beginner to instructor. All students receive individual attention, with smaller class sizes, instructor by one of our Experienced and Certified PADI Scuba Instructors. All our Dive Instructors speak English and you you also have the option of doing your scuba diving course in French and Dutch as well. The PADI Open Water Diver certification consists of 5 Sections: a mixture of Self-Study, Classroom, DVD and Practical Training Sessions to practice the scuba diving skills. As well as 4 Open Water Dives in the ocean. 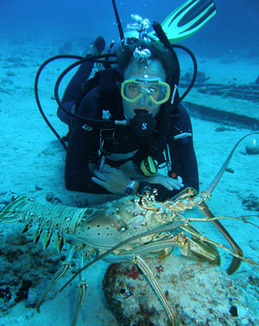 Lucky for you, it's here in the warm, tropical waters around St Maarten/St Martin, where you will further develop your skills and explore the underwater world! You can achieve the PADI Open Water Diver certification in 3 Full Days, which we can fit around your schedule. The course price includes the Open Water Diver kit, full scuba diving equipment rental, boat trips and all instruction through certification, as well as PADI certification fees. Our 2 Custom Dive Boats have shade, dry storage areas and complimentary drinks. Operated by a professional boat captain, with full safety equipment and surface support aboard at all times. Save Time On Your Vacation! Choose PADI's eLearning program. You complete the course-work online at home, on your own schedule. Then you can relax and have fun while just scubad diving under the close supervision of your Dive Instructor in the warm waters here in St Maarten! You will practice all the skills needed to stay safe and have the most fun possible, then go on 4 Open Water Certification Dives off the shores of a tropical island, from one of our 2 Custom Dive Boats. 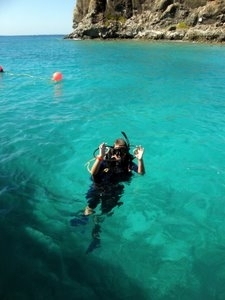 Your scuba diving adventures have just begun! 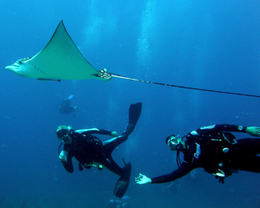 We also offer PADI Scuba Diver certification and Scuba Diver to Open Water upgrade. Contact us for more details.